Wow, it’s been so long since we’ve touched base. We’ve had such a great year on so many fronts. Last weekend, we hopped an early flight to Providence, Rhode Island, with a final destination of Attleboro, Mass., in mind! We had been looking forward to the Harmony Heritage show for MONTHS! Originally scheduled for May, the show was pushed back to September. 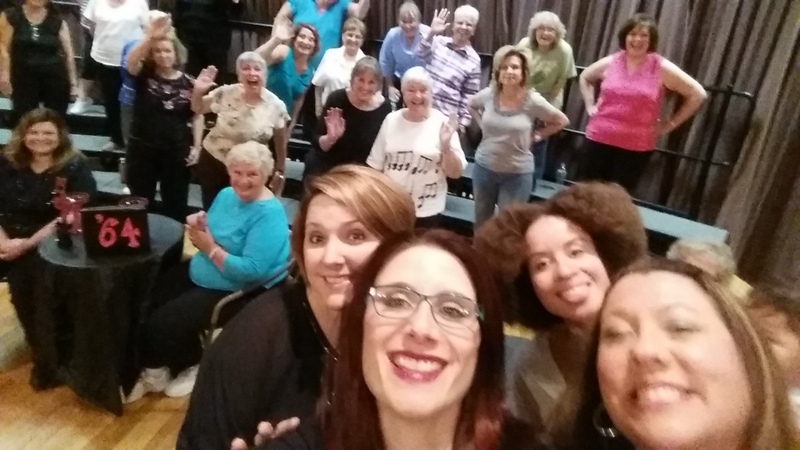 Celebrating with a new director, the Harmony Heritage ladies put on one heckuva show! Barbershop harmony is just cool. We shared the stage not only with the Harmony Heritage Chorus and its fantastic quartets, but also with the men’s international seniors quartet, Trade Secret. Watch out for these guys… they’re on a mission headed straight for New Orleans. We have so many lovely memories from this show, but one very notable moment came when young Kenshin (Shana’s son) took his very first steps! We had just gotten off stage when this fine young man decided that a phone was worthy of a couple of steps! Check out all of our fun photos from the weekend! Harmony Heritage getting ready to put on a great show!